The secret is, I'm always angry. Conan this is for in-game rage only. You will get done for off topic poasting. Start an In-Forum Rage post. To be fair after the recent WG performance i think we can afford him an outlet. I know i'd be raging if i was tasked with trying to save face after all their screw ups. Just had a Type 59 snapshot my machine gun port whist I was on the move and he was travelling and swerving downhill at full speed. RNGesus or assisted? Even assisted people have to cope with RNG. That reminds me, earlier today my poor plat mate missed 4 shots with his KV-1S (3 fully aimed) in a row on a T34 with 30 HP left at a distance of a about 15 m.
When Stalin hates you, BOY, he REALLY hates you. No, it's not about the teams. It's about RNG. So, I can pen the O-I from the front, no problem, but when I get to the BDR who's a 1-shot for me, I bounce with gold, he hits me and takes out my ammo rack, so manages to get in another shot before I reload. It doesn't help that I had already lost health because of the FV304, which I asked the LT to deal with, but eh, he didn't. The remaining team mates couldn't take out the BDR either. So when it comes down to it, it's a loss because I couldn't take out a 1-shot due to RNG. Actually, I wasn't really mad at all tonight, funny enough. Edited by SaltyBob_, 19 July 2018 - 06:20 PM. What I always say is that if you lose - or win - due to a buzzer beater, don't think too much about that very last shot. The real thing to be concerned about was that you and your team allowed the game to reach a point where the game could be decided by one shot. This was pretty typical for today's session in the Ikv 90B. It was either getting teams that succeed in their attempt to lose (I don't see any other explanation for what they were doing), getting teams with... difficulties... where they drop like flies (including another tier VIII game where we went 0-5 in two minutes), and another where we hit 0-7 until we got our first kill. If not that, then RNG just wouldn't play along. Games where I'd either bounce or miss almost every fully aimed shot, to the extent that I ended up with three games where I dealt only 1 shot of damage. All of that, and still managing to make top 10 for exp every game, AND managed to get MoE from 56% to 65% (and back down to 63%) despite all those losses, some of which the game was over so fast I couldn't even deal my hitpoints in damage. ^^^ That game could've been a win for us, but for some bizarre reason those who went south kept going south despite the very clear and obvious movement of enemies heading towards our cap, and despite being told to return to base to defend. Nope, these guys wanted to lose. Bloody RNG really [edited] me today. I'd say having games where the shot record end up something like: miss, miss, bounce, bounce, bounce, miss, miss, bounce, 0 dmg crit, miss, 0 dmg crit, bounce, bounce, miss, miss, is probably even more frustrating than having full tomato teams. Miss with fully aimed shots, but get snap shotted by a KV-2 from half way across the map. Okay. 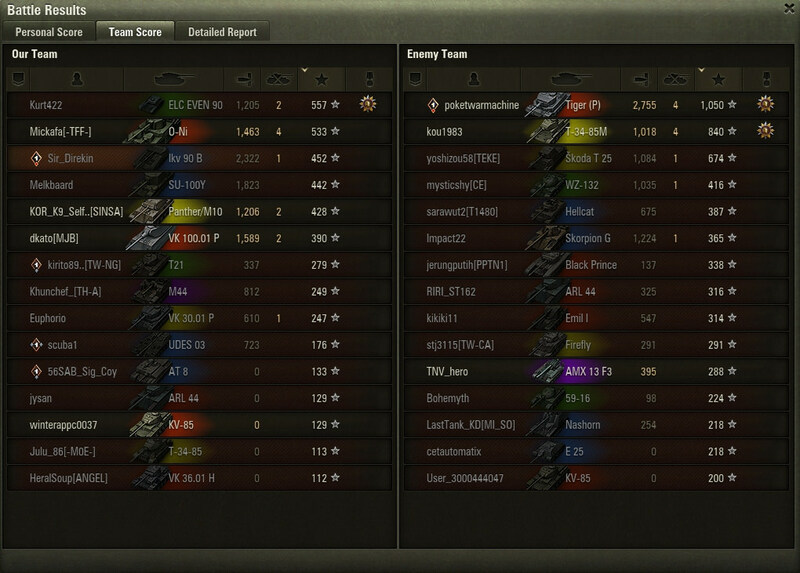 Oh, and the best one was getting 1-shot by another KV-2 from full health; a high roll, not an ammo rack. Yep, that previous requirement of 2k bounced was just a bit ridiculous for the tanks you're supposed to use. The obvious go-to for me would've been the Churchill III, but my radio guy went AWOL. Actually I think I made him the commander of the T-50. 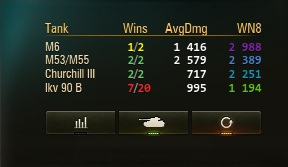 As it turns out, I still have my first Soviet HT crew still in the KV-1 (pretty much forgotten about; I don't even know when's the last time I played it), so managed to get the Churchill III running in the end. I was in that game with you. It was pretty much 12 vs 15 from the start but somehow managed to pull a win. It was a scumbag move that's for sure so I hope he gets a week ban at least! 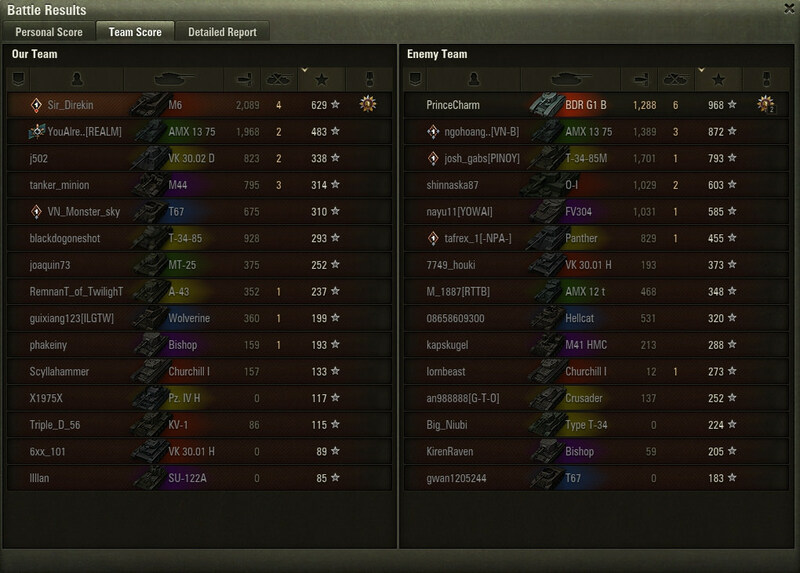 How ragey were you when our AMX 12t capped out on prok last night lightning? I've been enjoying claus' approach. Just feature the [edited] wits on a youtube channel. Of course WG probably still won't do anything about them, but at least the fools get shown up.